In the Language of Flowers tulips carry messages from “a declaration of love to ardent love” depending on the color. So this basket says it all. 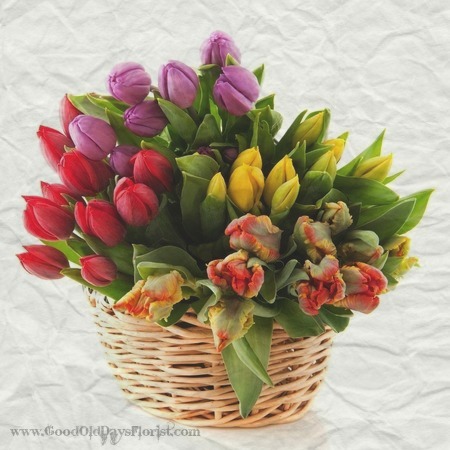 40 assorted colors tulips in a willow basket -no accents needed! 85. A smaller version using 20 tulips in a smaller basket 50.